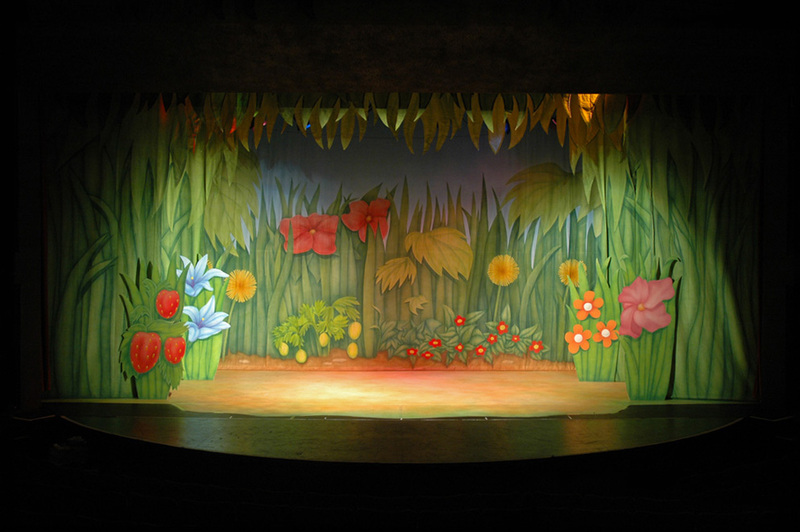 This set was designed by in house set designer Charlie Camm and built by Scenetec for a national tour. 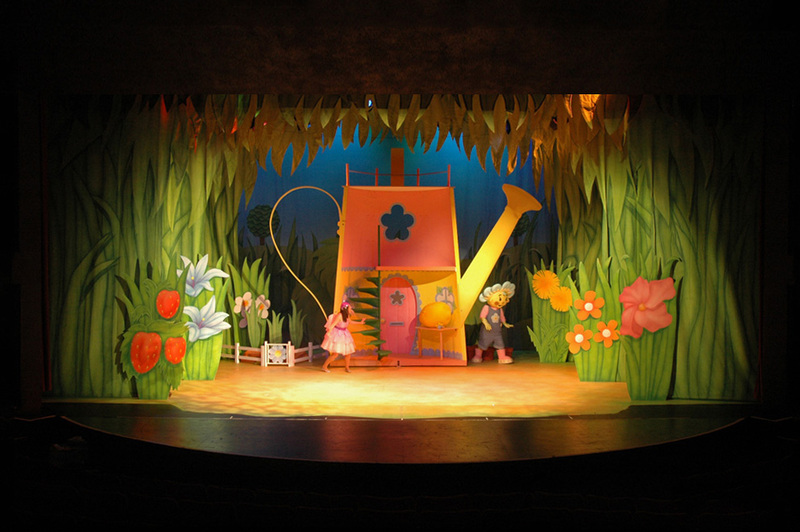 The centre piece was Fifi’s house, a giant reversible watering can which had to be made in sections for ease of transport. 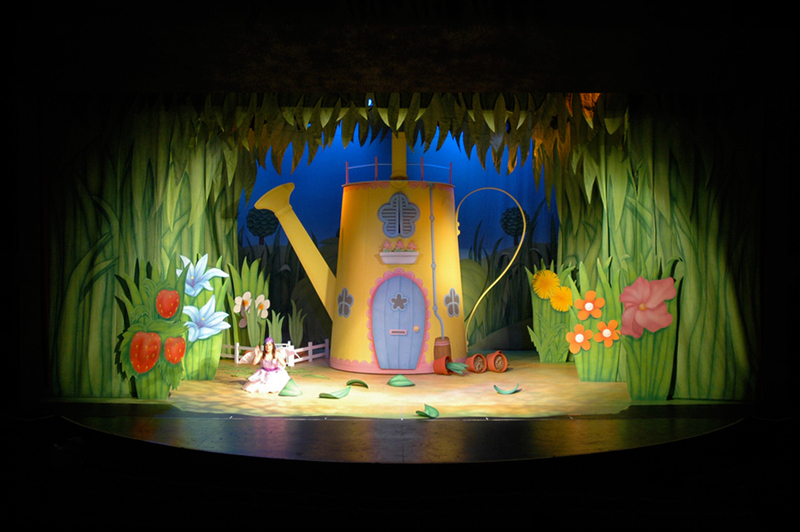 The watering can revolved to reveal the inside where Fifi could ascend the spiral staircase to the upstairs window. 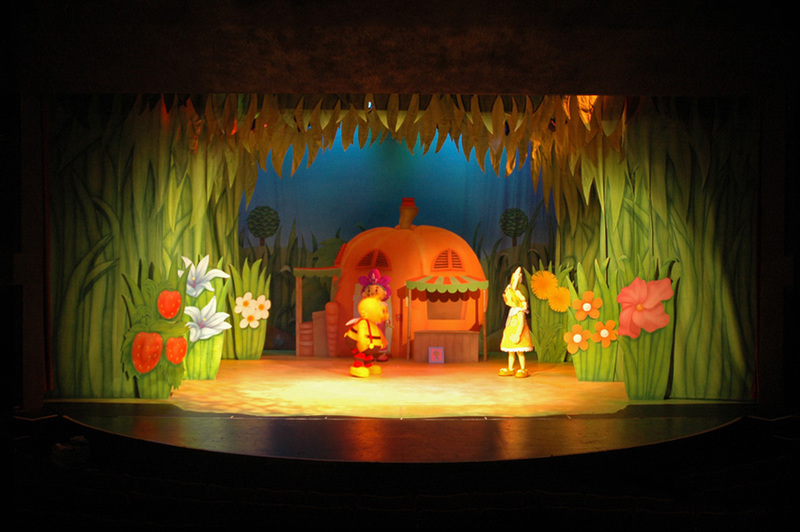 The set also had a custom painted vinyl floor which could be rolled to cover an entire stage.